"We recently bought the EGO 575 CFM leaf blower after looking at reviews, looking in the stores, and online. It is an impressive blower and delivers the power we were seeking. The battery is huge and over 1/2 its weight but it is well balanced." Tim Jones "We recently bought the EGO 575 CFM leaf blower after looking at reviews, looking in the stores, and online. It is an impressive blower and delivers the power we were seeking. The battery is huge and over 1/2 its weight but it is well balanced." "I have a petrol blower/vacuum that has worked great for me but I have to use it a lot as there is so much coming from the trees around the house and pool. The battery blower is much quicker and easier to use on a daily basis and the wife, kids, and any guests can grab and use this thing with no worries of how best to choke and pull the cord to start." 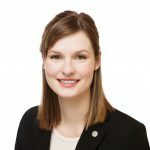 Jenna Thompson "I have a petrol blower/vacuum that has worked great for me but I have to use it a lot as there is so much coming from the trees around the house and pool. The battery blower is much quicker and easier to use on a daily basis and the wife, kids, and any guests can grab and use this thing with no worries of how best to choke and pull the cord to start." 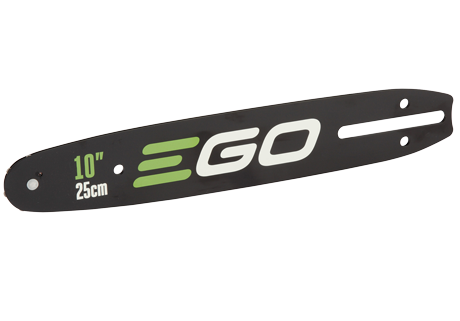 Replacement bar for use with the EGO 10’’ Power Head System Pole Saw Attachment PSA1000. This reversible bar is a component of the OREGON® Micro-Lite Narrow-Kerf Cutting System, featuring a narrow-kerf sprocket nose and double guard bars. Use EGO AC1000 Power Head System Pole Saw Chain on this Pole Saw Bar to obtain all the advantages of the Micro-Lite system. OREGON® recommends that you change your bar after the second chain replacement. 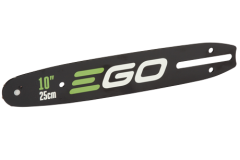 EGO parts are designed specifically for your EGO POWER+ Power Head System and offer the highest quality, performance and value.